The world needs more thoughtful, ethical science and health care professionals. Curious, capable Christians who are equipped to incorporate their worldview into their careers and help humanity thrive. Ready to crack codes, pioneer discoveries and cure diseases. 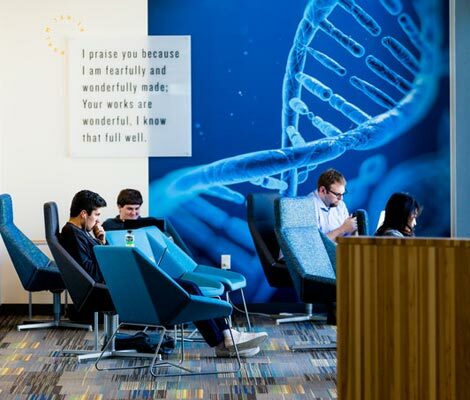 To discover the vast common ground where our faith and science flourish together. 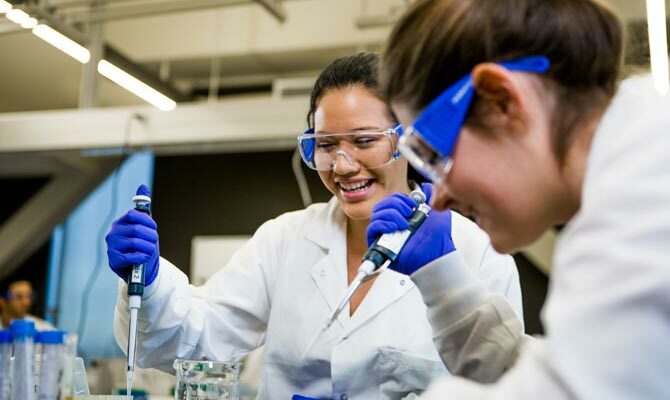 At Biola University’s School of Science, Technology and Health, we provide you with a powerful education that prepares you for some of the most in-demand careers of today and tomorrow. We see science as a vital way of knowing and serving God better. With our cutting-edge equipment, expert faculty and ideal location near Los Angeles in Southern California — a hub for innovation and opportunity — Biola is a leading choice for a new generation of leaders in the sciences. 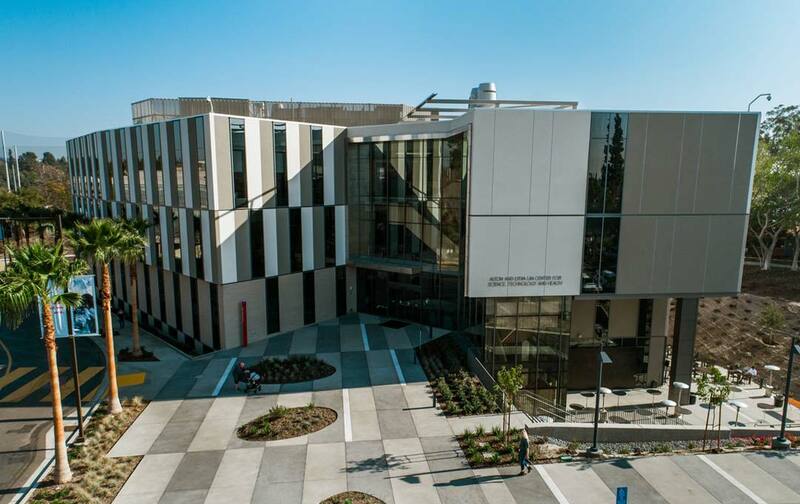 The new Alton and Lydia Lim Center for Science, Technology and Health is home to Biola’s science and health programs, filled with state-of-the-art equipment and innovative spaces for research, learning and community. Not to mention some of the most comfortable and inspiring study spots on campus. Join a cohort of exceptional students who participate in funded research, take specialized courses, learn from world-class thinkers and gain publishing opportunities. Choose from our wide range of academically robust, faith-infused academic programs, including 14 different majors and nine minors. Take your degree to the next level and discover your path to becoming the next nurse educator through our fully online MSN (Nursing Education) degree. On Feb. 16, 2018, Biola University dedicated the university’s most ambitious building project to date — the new $63 million Alton and Lydia Lim Center for Science, Technology and Health.